Previously available only in spas or luxury hotels, the luxury of a fog-free mirror can be yours to enjoy in your own master bathroom. With a fogless mirror as part of the home, you will no longer have to wipe mirrors after warm showers and leave streaks on them as a result. Installing anti-fog bathroom mirror systems is a simple and cost-effective way to make your morning preparations — and even bathroom cleaning — more efficient. In addition to our floor-heating products, steam-free mirrors add a touch of comfort to any home. ClearlyYou™ Mirror Defoggers come ready to install in several shapes and sizes to fit most mirror types. Pre-attached power leads conveniently connect to your bathroom's 120VAC lighting fixture. WarmlyYours is able to provide mirror defoggers for a wide range of mirror sizes and shapes. For more information, contact a WarmlyYours Account Representative at sales@warmlyyours.com. ClearlyYou™ Mirror Defoggers transmit gentle warmth across the mirror's surface, preventing the steam's moisture from collecting on the colder mirror surface while you bathe or shower. Self-adhesive backing allows easy application to any wall-hung mirror in just minutes. With the ClearlyYou™ system installed in your bathroom, your mirrors won't become an inconvenience as the room steams up. 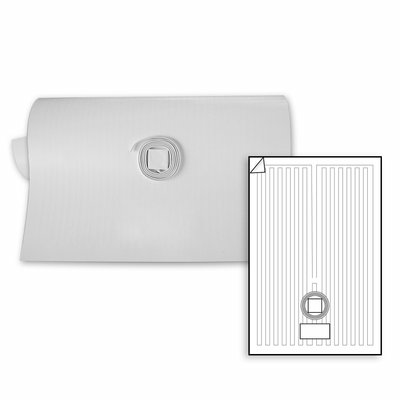 ClearlyYou™ Mirror Defoggers come ready to install in several shapes and sizes to fit most mirror types. Pre-attached power leads conveniently connect to your bathroom's 120VAC lighting fixture. Anti-fog bathroom mirrors draw only a minimal amount of energy, costing very little to operate. They also maintain a constant, regulated temperature of 104 degrees, keeping the glass steam free. Mirror defogging systems are not suitable for installation in the shower. Our mirror defoggers have one of the highest efficiency rates that reduces heating costs. Our mirror defoggers are backed by our 1-year manufacturer warranty, that guarantees our mirror defoggers to be free from defects in materials and workmanship.